The Apple Watch is available in multiple different varieties, and while you may find it difficult to chose between them, the pricing of the Watch Edition range has ruled out the flashier, higher-end models for most. If you want a device featuring precious metal, you’re looking at an outlay upward of $10,000, with some configurations costing almost double that, but as we’ve seen before now with the iPhone and iPad, there are many companies offering aftermarket customization at varying rates. 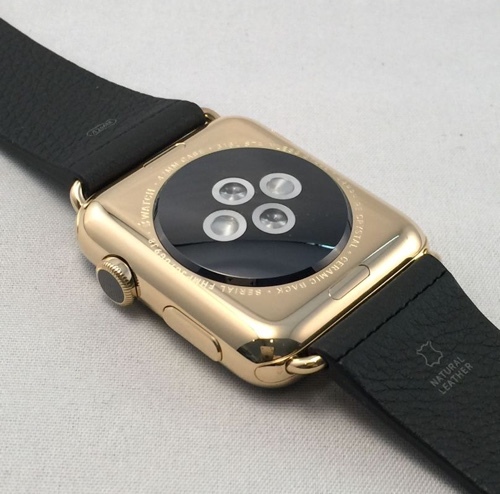 Notably, one outfit can now turn your stainless steel Apple Watch into a carbon copy of the rose gold edition, among others, and for a few hundred bucks, the knockoff Edition look too different from the real deal. 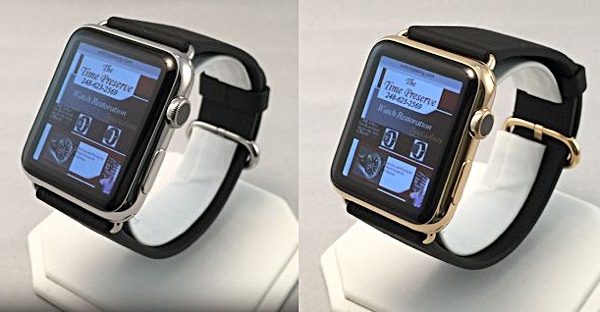 The Time Preserve, a company that plies its trade in restoring watches, has created an electroplating system that, it claims, precisely matches the rose gold color of the Apple Watch Edition. More than a lick of gold spray paint, this is a professional solution for those partial to the more grandiose flavors of the Cupertino wearable but without the bank balance to shell out $10,000 or more, and while the starting price of $650 for the gold plating is still quite steep, it’s a considerable stretch cheaper than what Apple is asking for. 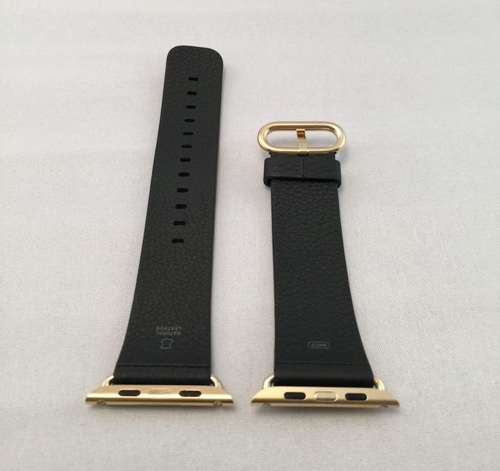 The process involves adding a thick layer of gold coating, and along with the stainless steel Apple Watch, the company will also gold-ify your band to match. It does cost more if you want the band / buckle plated in that delicious goldness as well, though, and prices vary depending on whether you’re rocking the Leather, Modern Buckle or standard Sport band. While the aluminum Apple Watch Sport has proven a popular choice among early adopters – it is, after all, the cheapest option – it’s less weighty and prestigious than the stainless steel model that one-ups it on the roster. Moreover, The Time Preserve’s magical powers of morphing don’t extend to the aluminum finish of the Sport, so you will need to be in ownership of the steel Apple Watch if you’d like a makeshift Apple Watch Edition. I rather get a Movado…. I’m sorry your boyfriend with his “Mustache Bitchez 4 Life” tattoo on his wrist can’t use his Apple Watch. I’ll buy it off him for $200 or can offer you $400 in Nair Hair Removal coupons. Been wanting to get my wife’s poodle an Apple Watch and don’t want to wait till June backorders. Thanks.